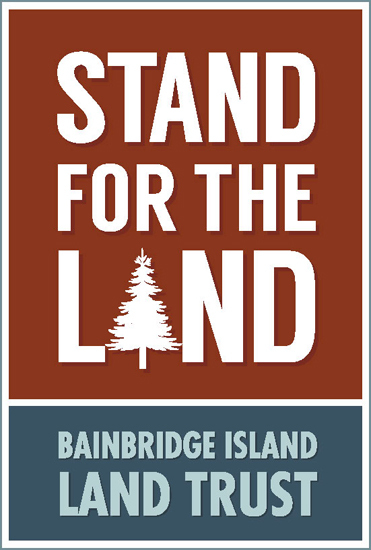 Bainbridge Island Land Trust | Protecting the Island’s natural resources. 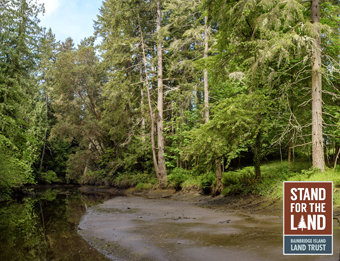 Stand for the Land – a bold Land Trust campaign to safeguard critical habitat before it’s gone – has successfully secured three properties via down payment, and we hope to add two more in 2019! Thanks to the incredible generosity of the Bainbridge community, we are now more than halfway to our overall campaign goal. Island people protecting Island places, since 1989. The Bainbridge Island Land Trust’s mission is to preserve and steward the diverse natural environment of Bainbridge Island for the benefit of all. 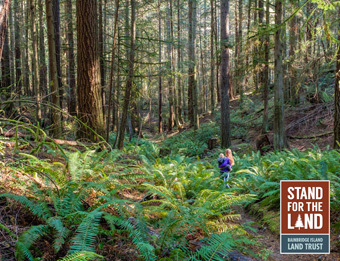 To achieve this goal, the Land Trust acquires interests in land having significant or potentially significant conservation values such as scenic vistas, wetlands, open spaces, tidelands, forest, unique plant and animal habitats and stream and wildlife corridors. We work with private landowners to protect their land using land protection agreements called conservation easements. We also work with a variety of partners to acquire land for preserves, parks, trails and public use. This is a placeholder piece of text to get Roboto Condensed font to show up - don't delete!